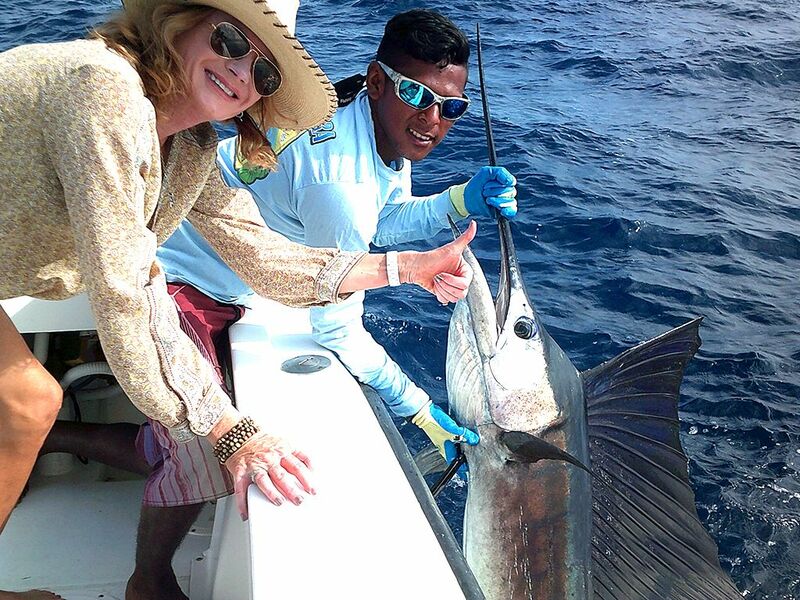 FishingNosara Hall of Famers Ron LaGro and Catherine Chase rejoined the Wanderer for their annual blue water fishing adventure, and scored lots of big Sailfish on just a 5 hour half-day. 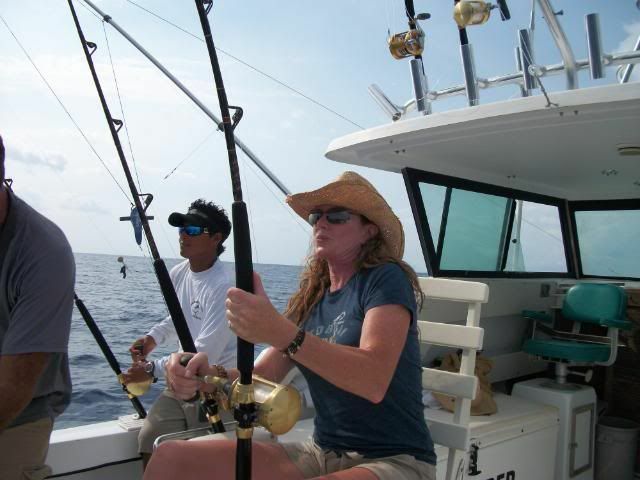 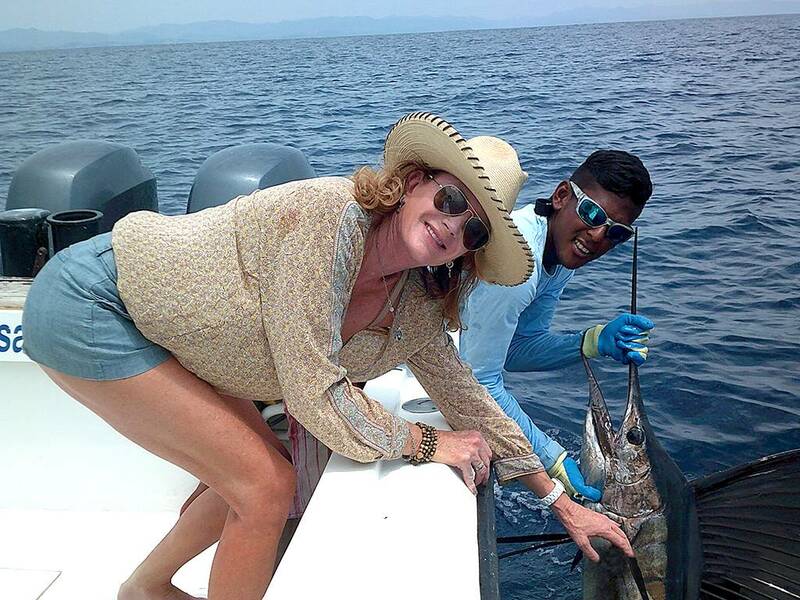 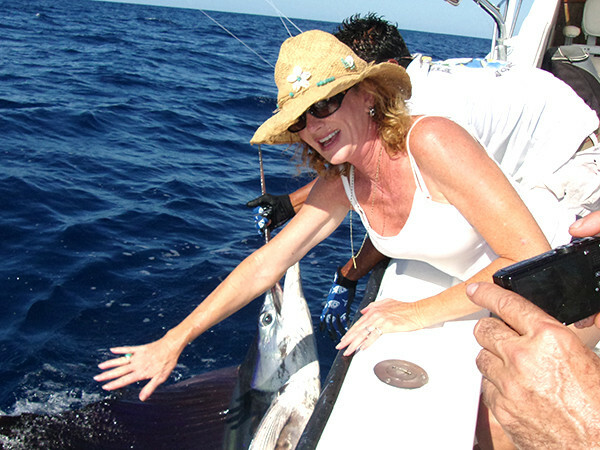 Catherine has a knack for battling big billfish, and she put on a catching clinic like usual. 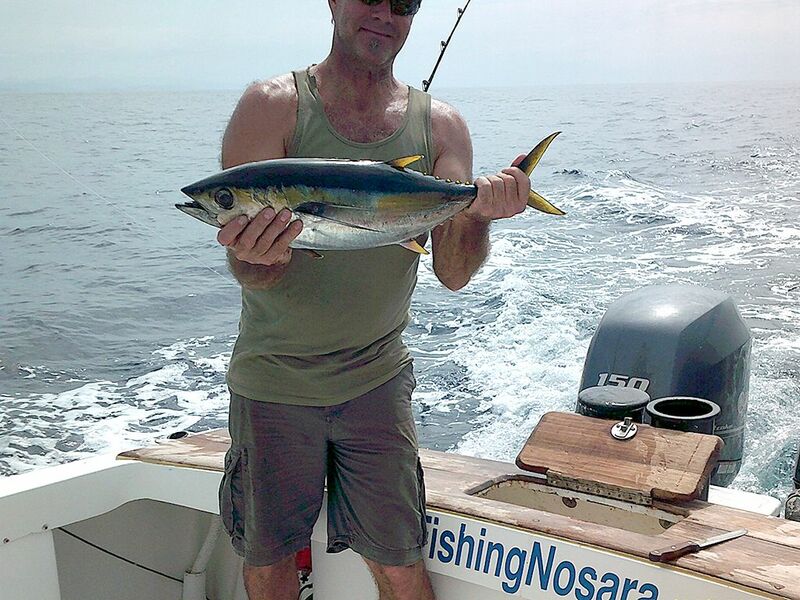 Ron also brought home the bacon in the form of this football-sized Yellowfin Tuna. 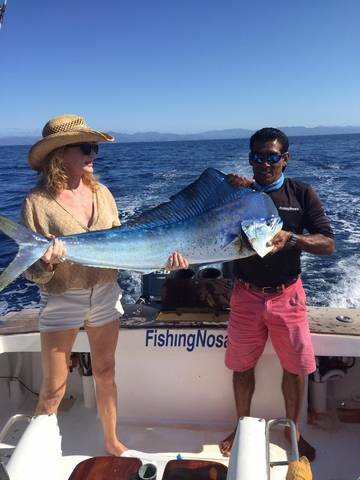 Catherine Chase and Ron LaGro have been fishing with us since 2009, and the Wanderer always performs when they take to the blue water. 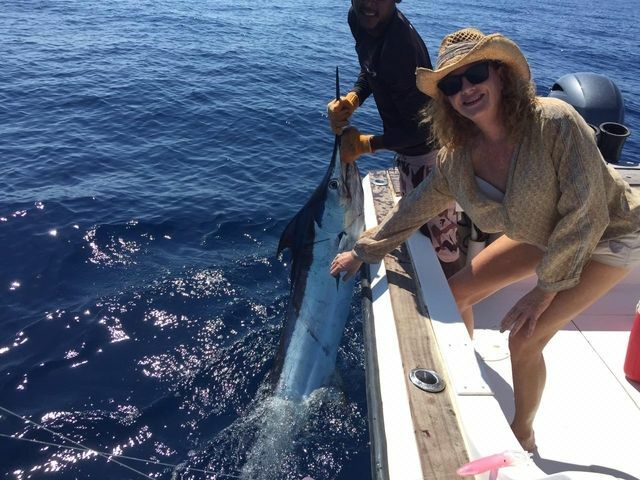 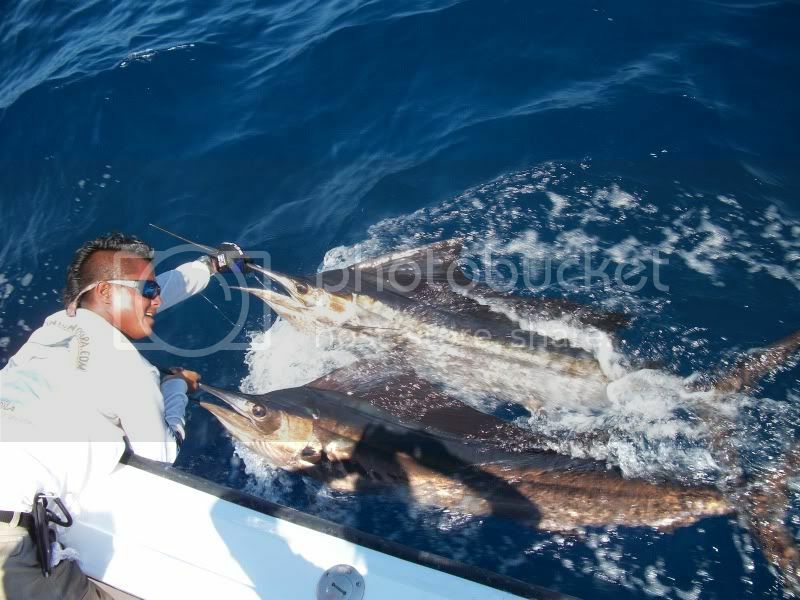 Click this link to check out their prior trips; these two are pulled off the first Double Sailfish release! 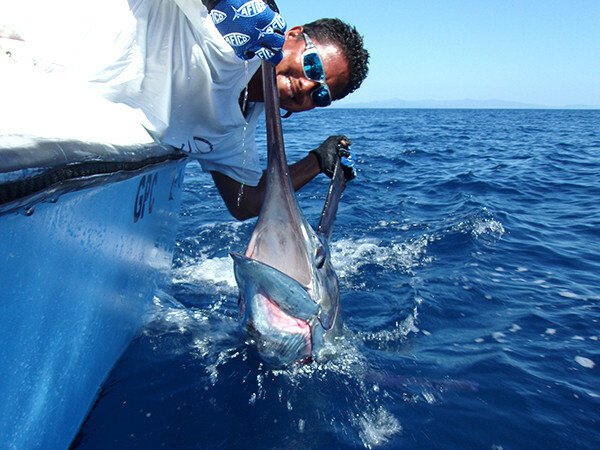 Ron LaGro fought the Black well, allowing it to tire itself out deep rather than allow it to put on an aerial display. 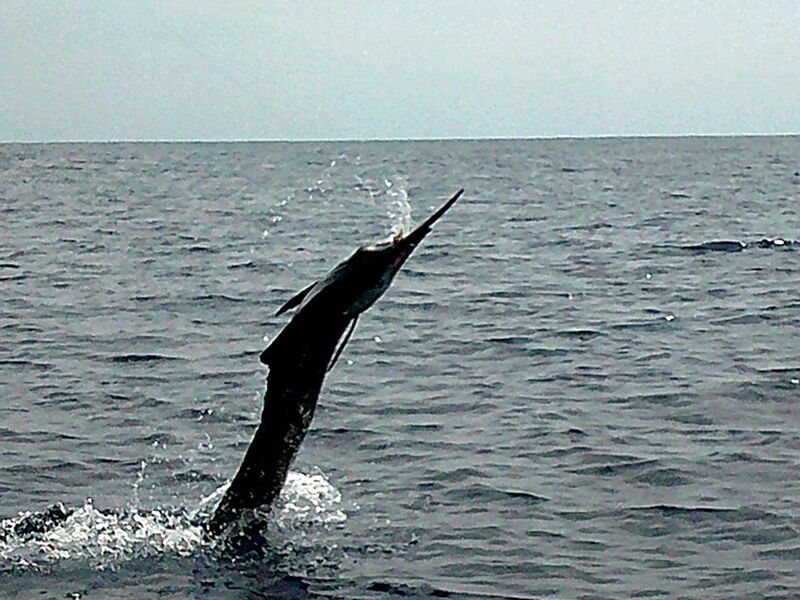 The fight was short and efficient and Alex executed a perfect release as usual. 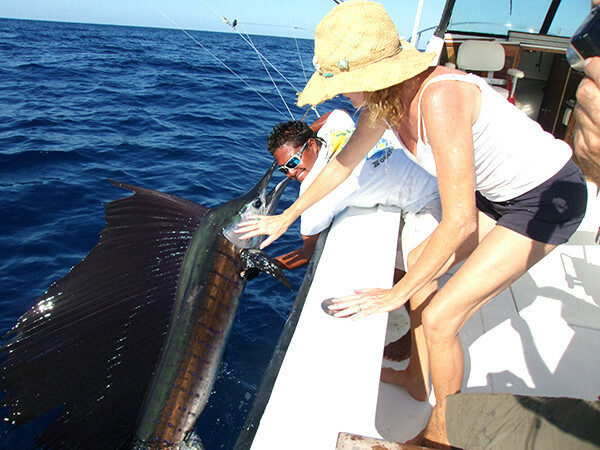 Later in the day Catherine scored on billfish with this lovely Sailfish release. 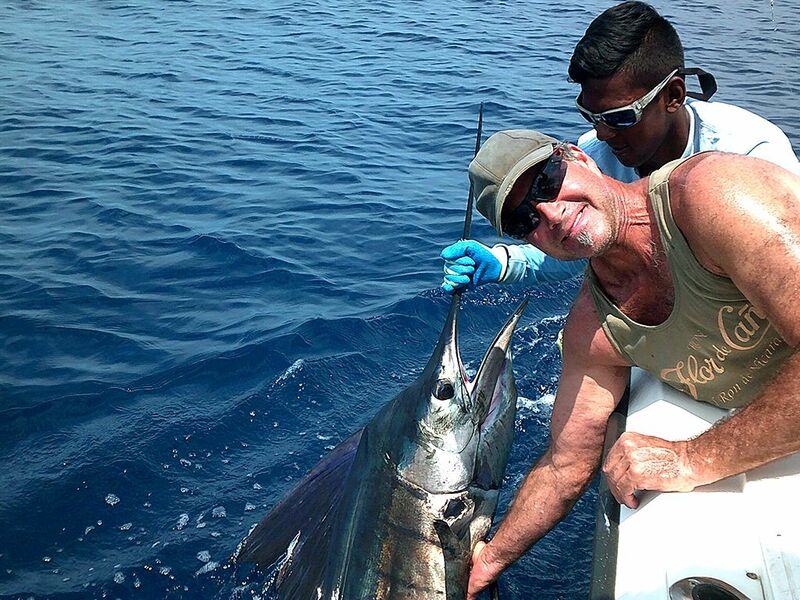 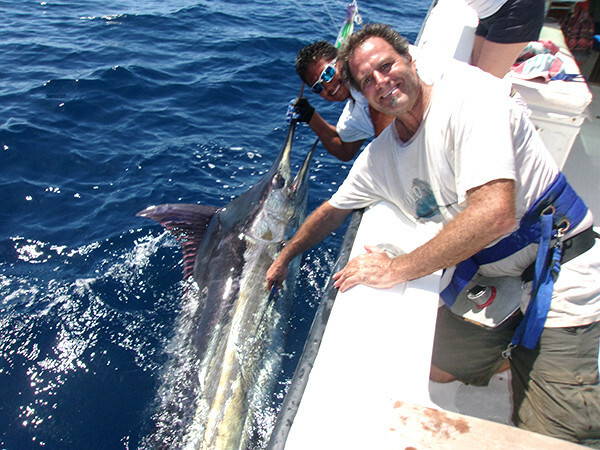 Ron countered with a Sailfish release of his own to finish off the trip. 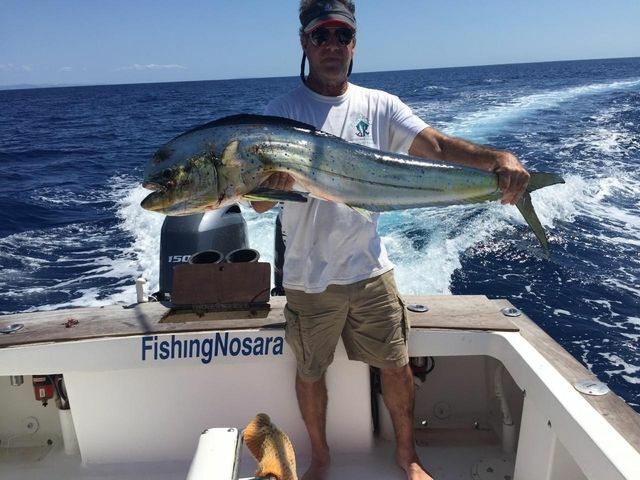 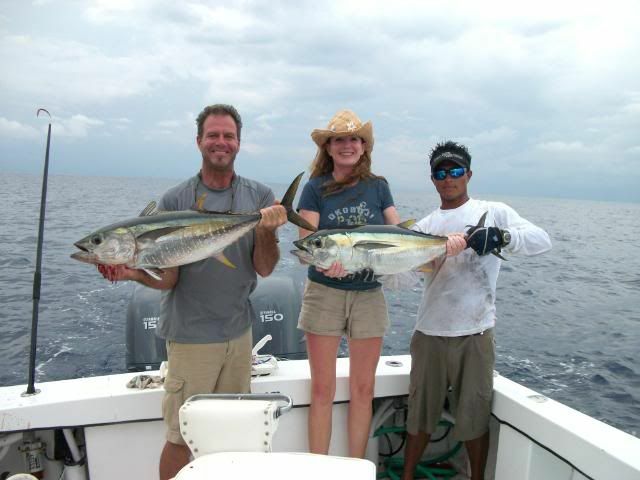 Amazing work by the flagship Wanderer and these super-angler clients. 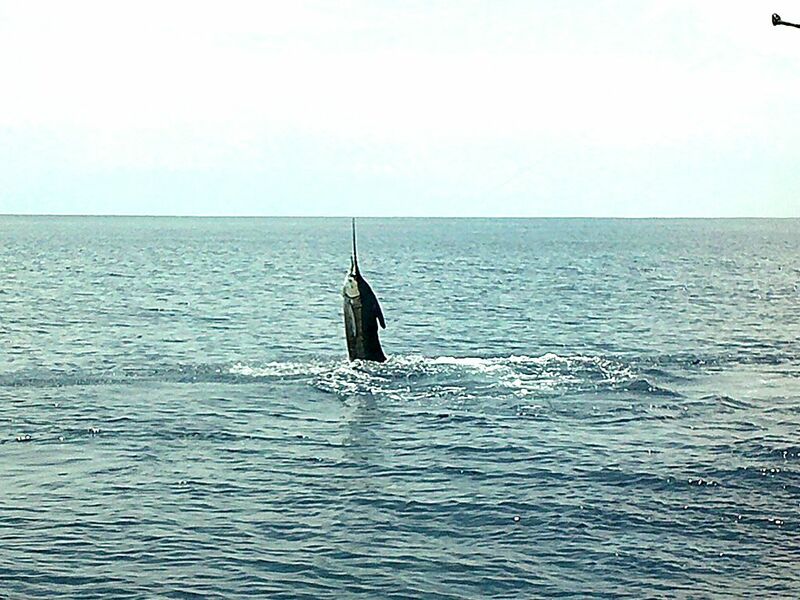 We were predicting a good day and sure enough the big Sailfish came calling. 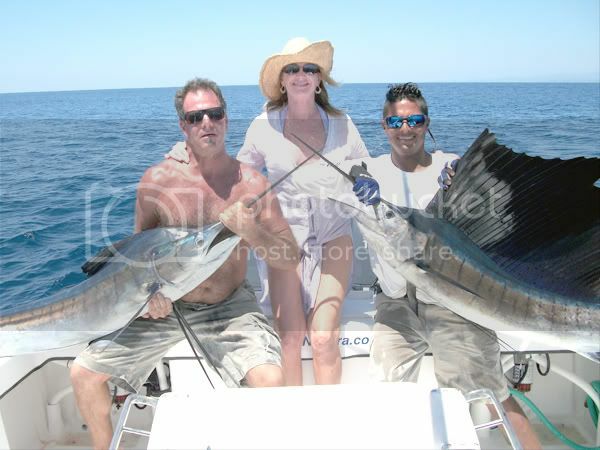 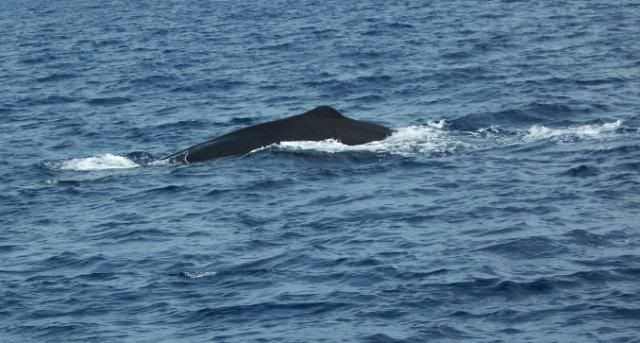 Our on the Wanderer Catherine Chase had a magnificent day on the blue water. 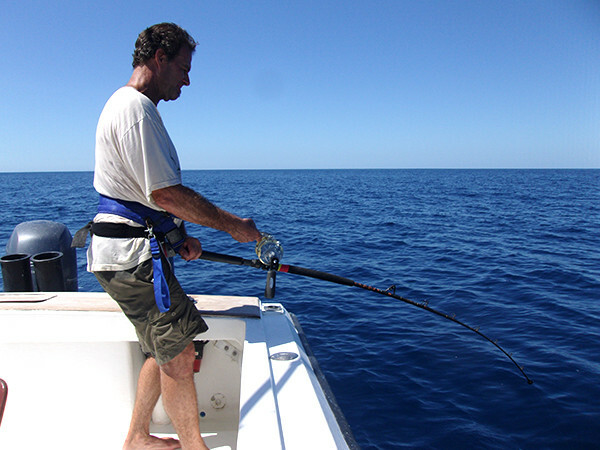 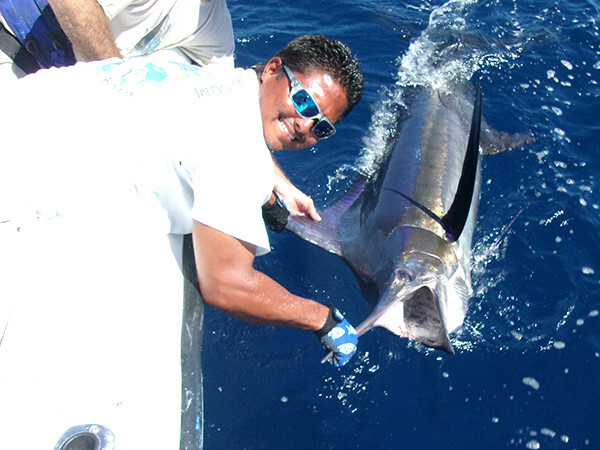 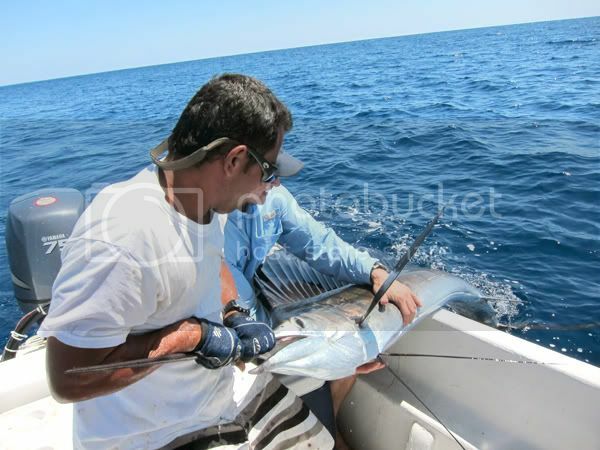 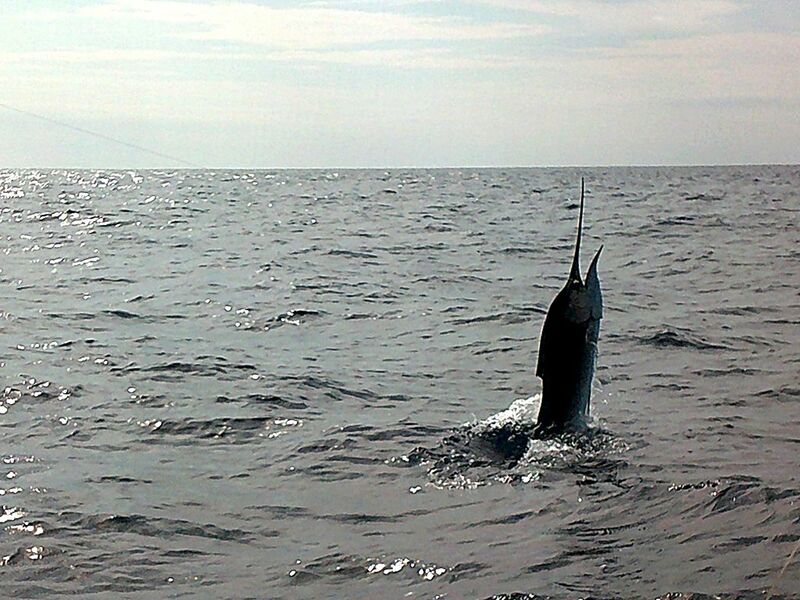 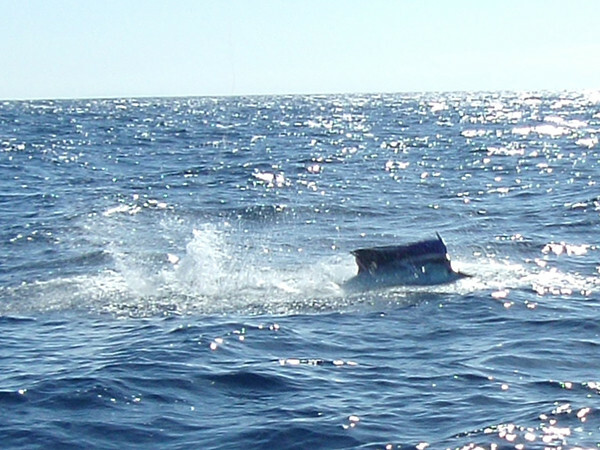 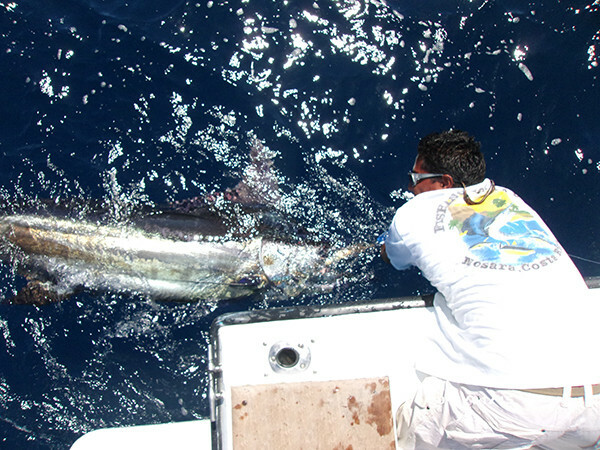 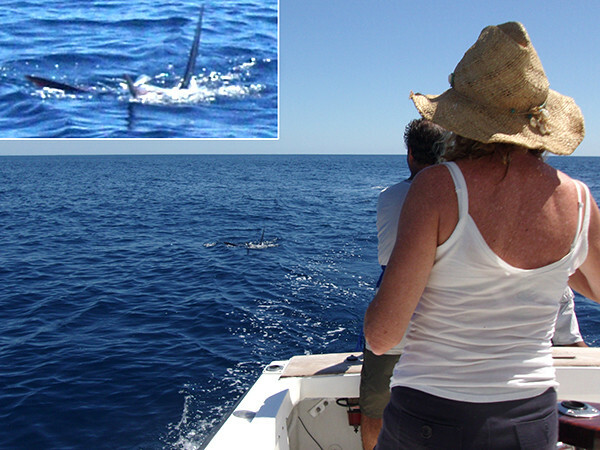 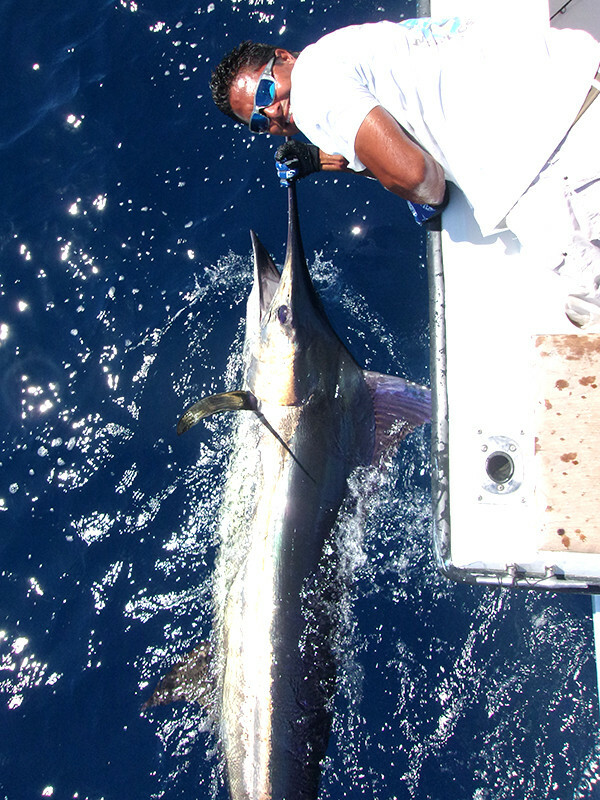 They raised several Marlin and Sailfish, with four successful releases added to the scorecard. 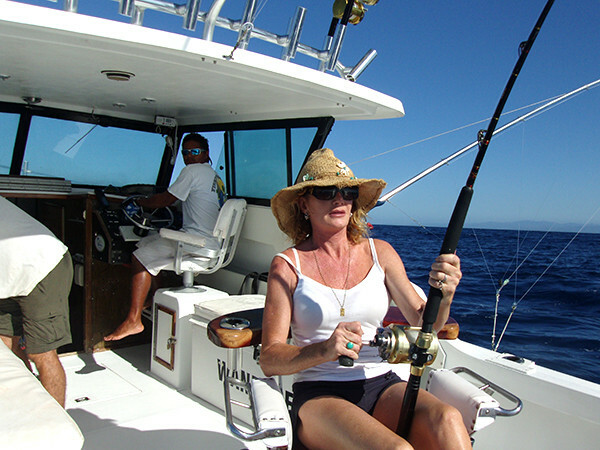 March 5 brought one of our favorite clients Catherine Chase out on the Wanderer. 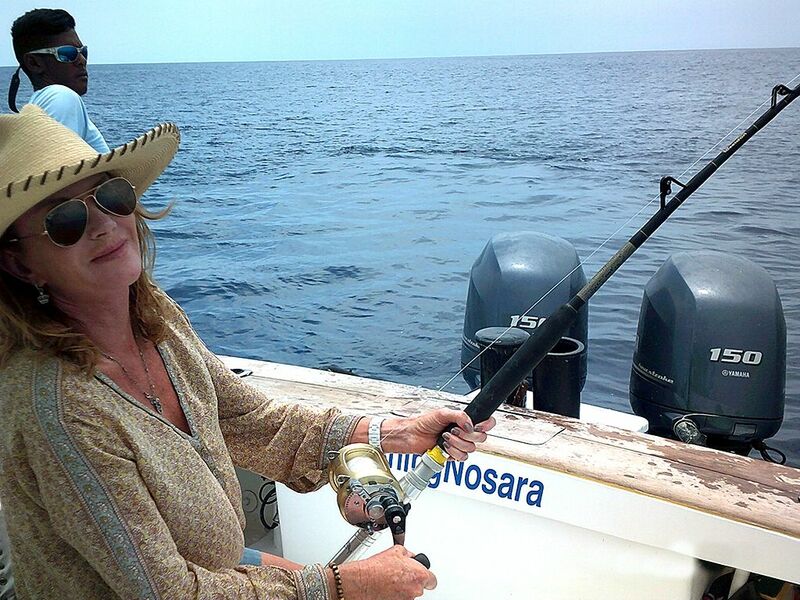 Last year she worked over the Dorados, but nothing could prepare her for this magnificent day on the blue water. 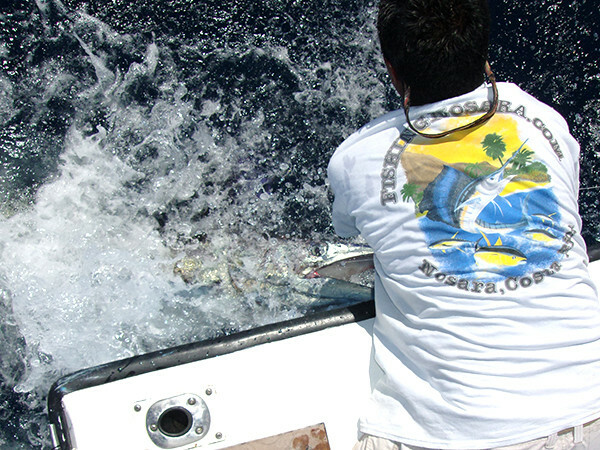 Please note that our crews have decades of combined experience handling these fish. 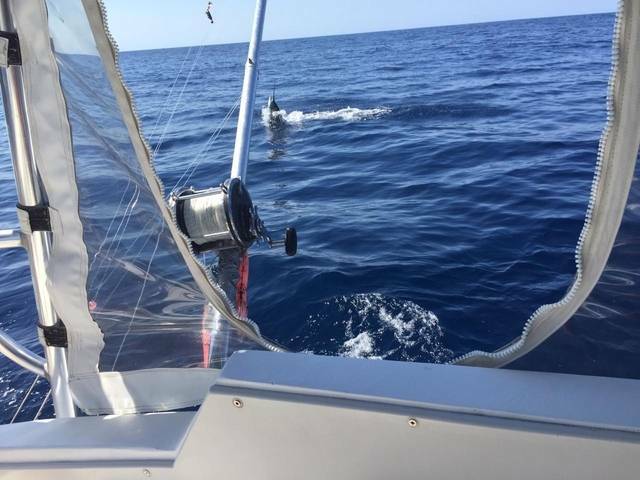 DO NOT ATTEMPT THIS PHOTOGRAPH!!! 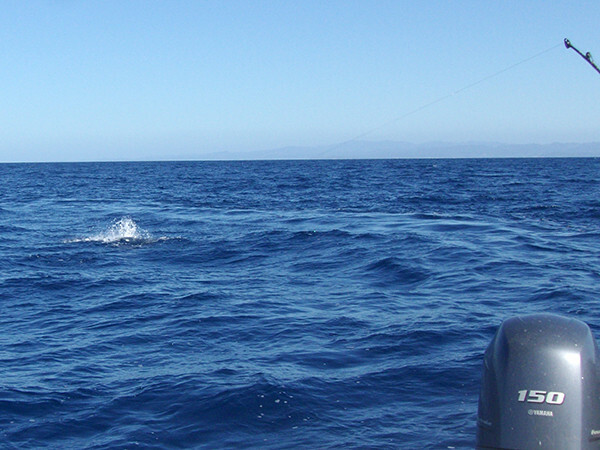 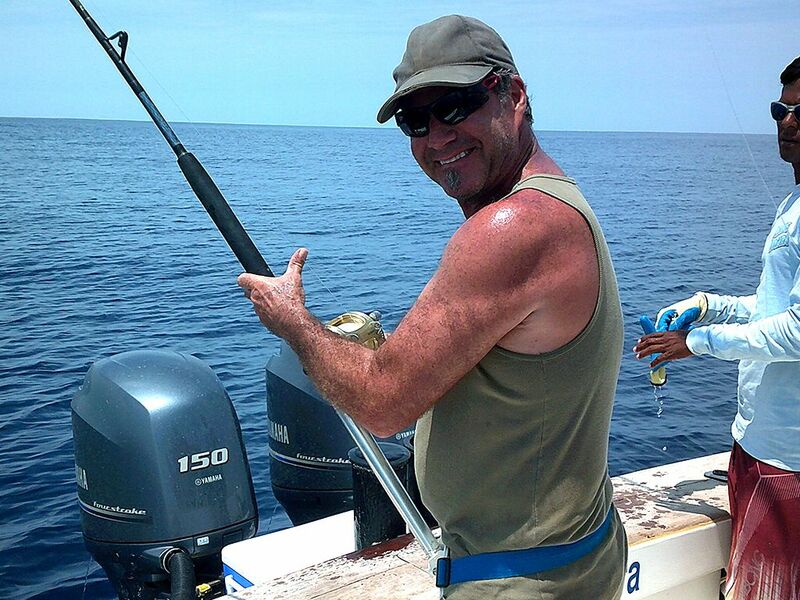 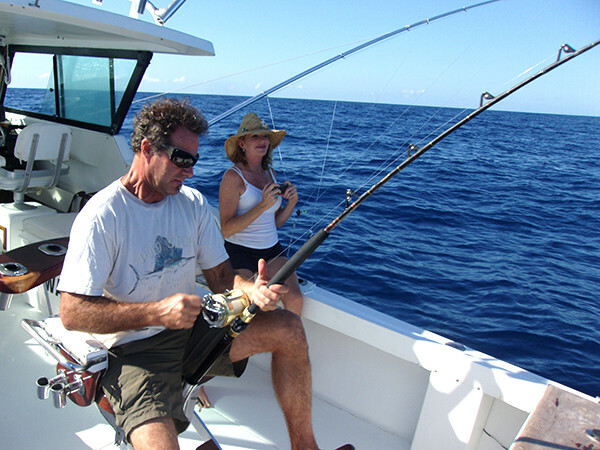 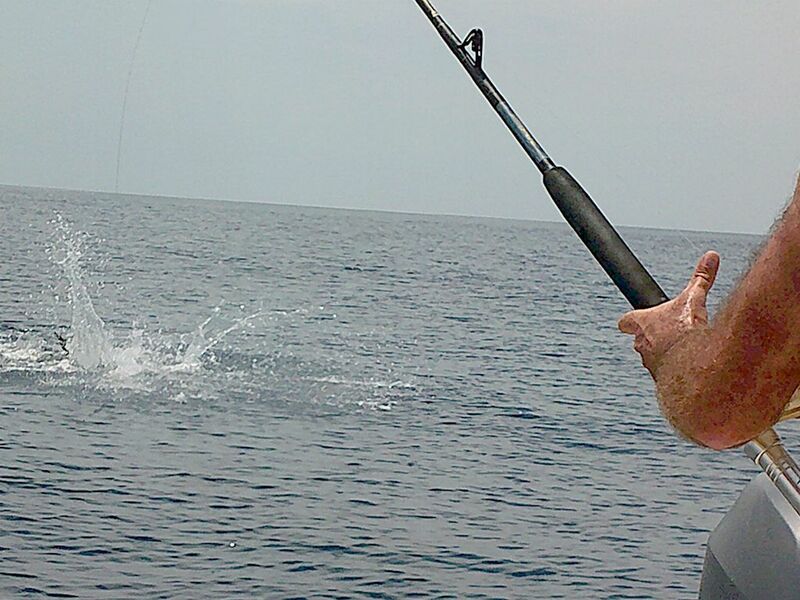 While exciting, the double billshot can be very hazardous to fish, boat, and humans alike. 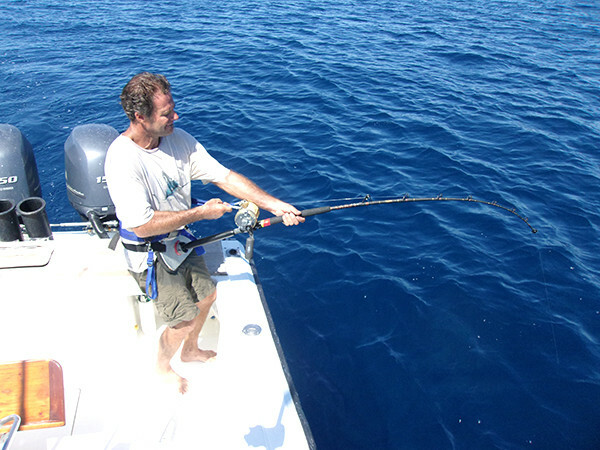 Unless you also have a lifetime of experience on the water, don’t even think about it! 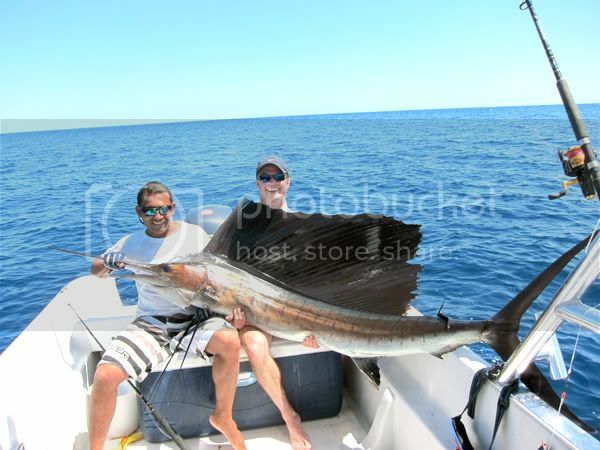 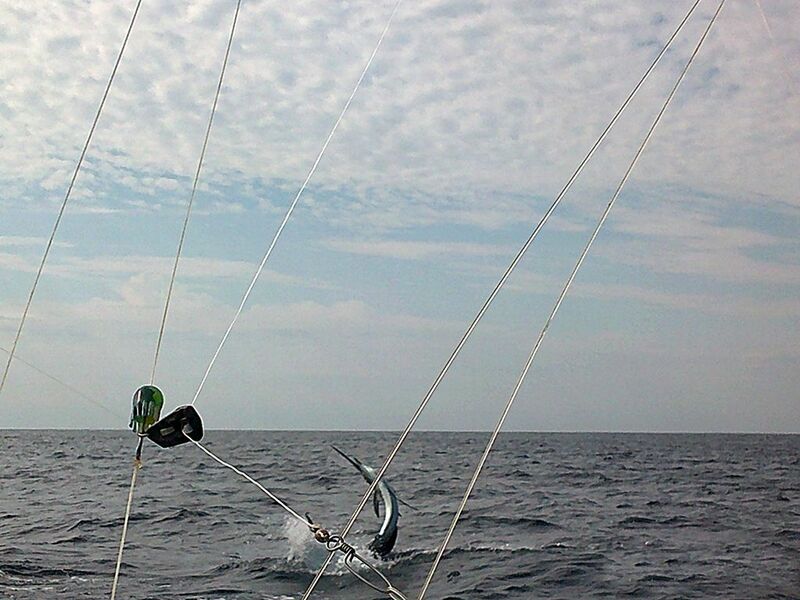 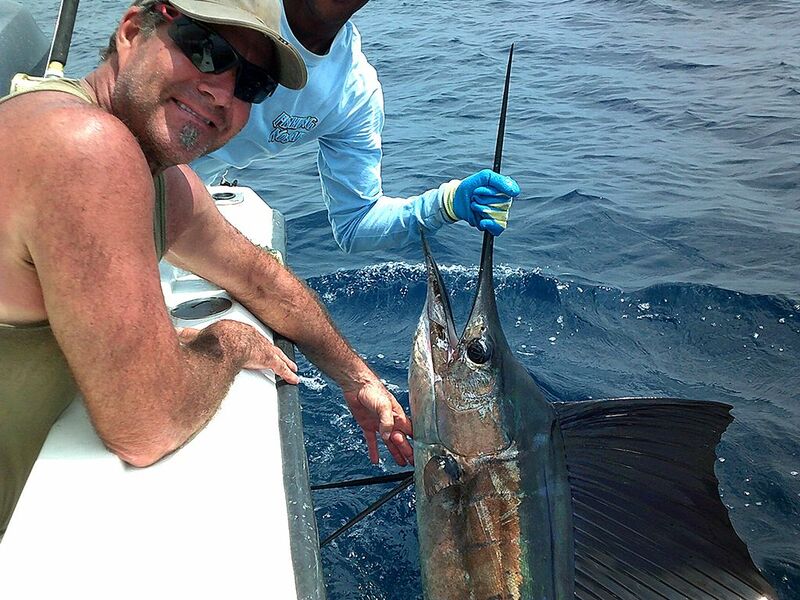 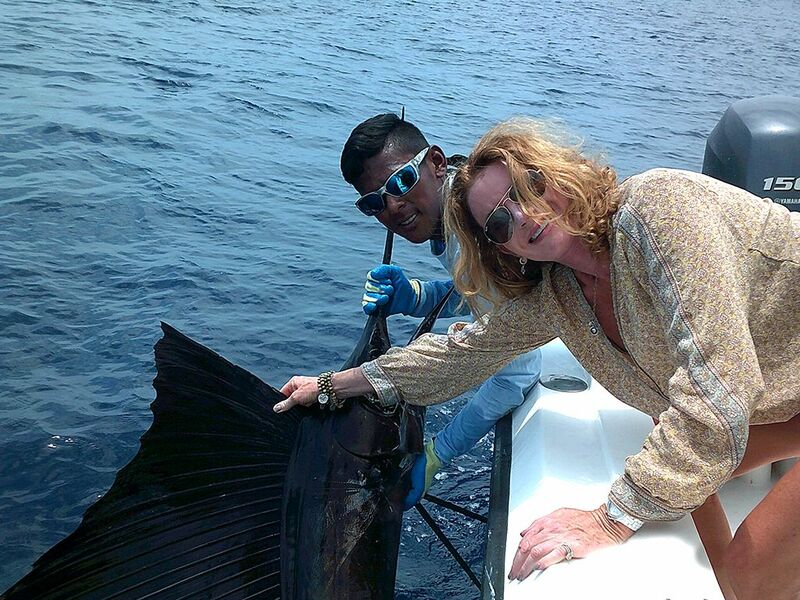 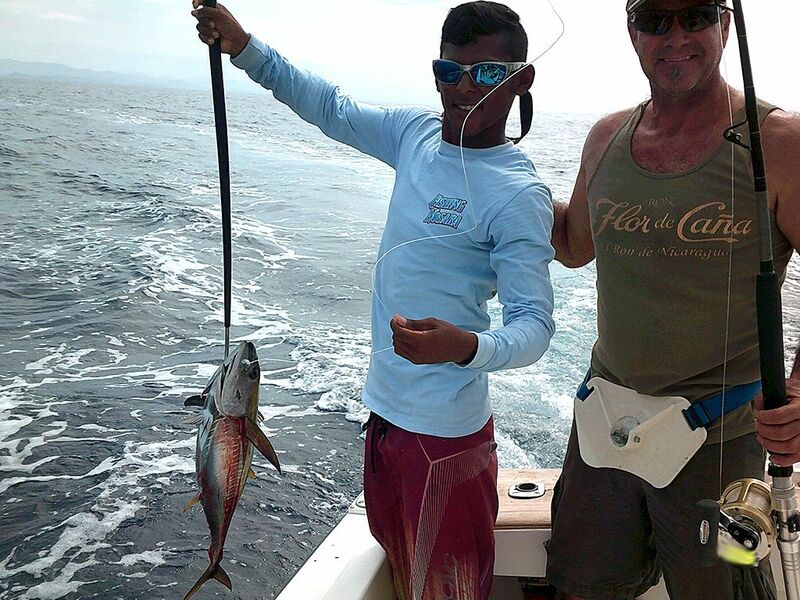 Meanwhile on the Explorer, Captain David and client David Mederos got a nice sailfish of their own. 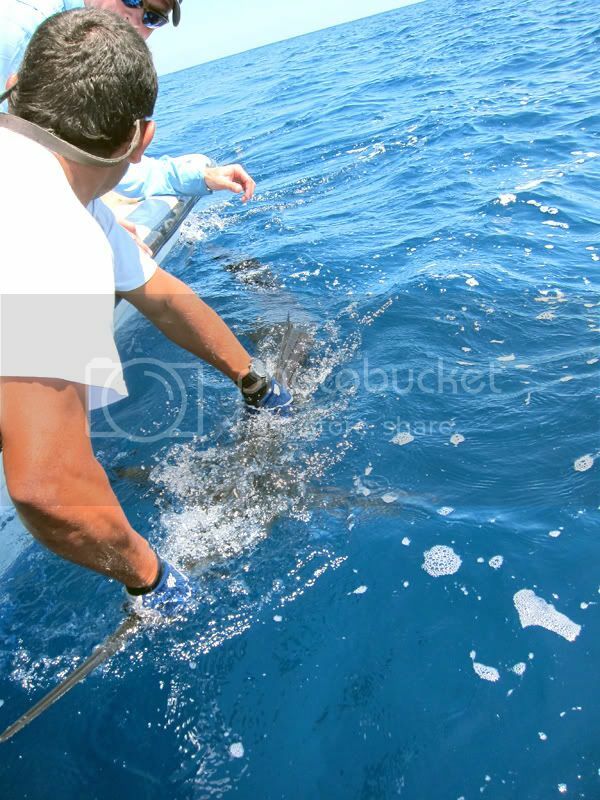 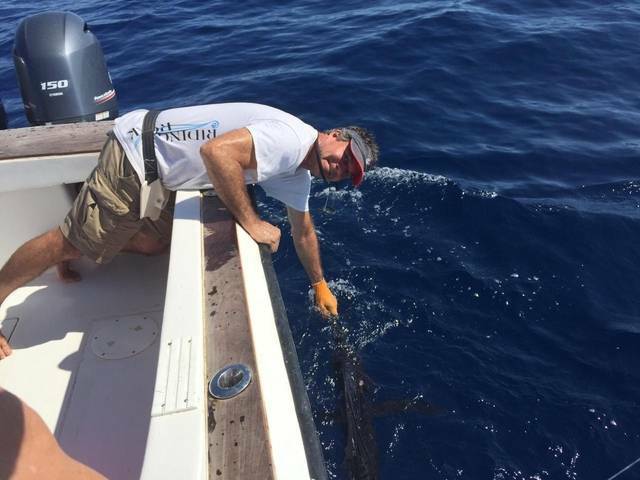 As always, this billfish was safely released to fight another day. 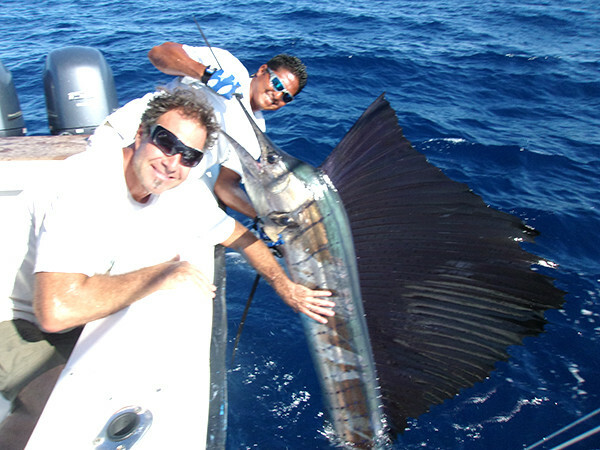 After the Sailfish release, they experimented with fly fishing for Yellowfin tuna over the reefs…we are actively looking for fly fishing experts who want to try their hand on the Roosterfish, Cuberras, and even Billfish. 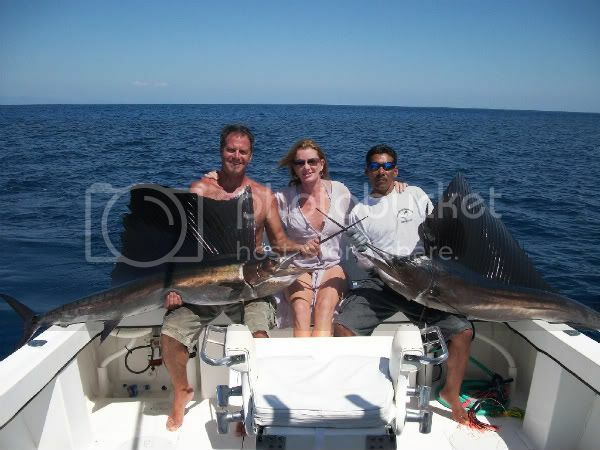 On May 16th clients Catherine Chase and Ron LaGro caught six 15-20lbs. 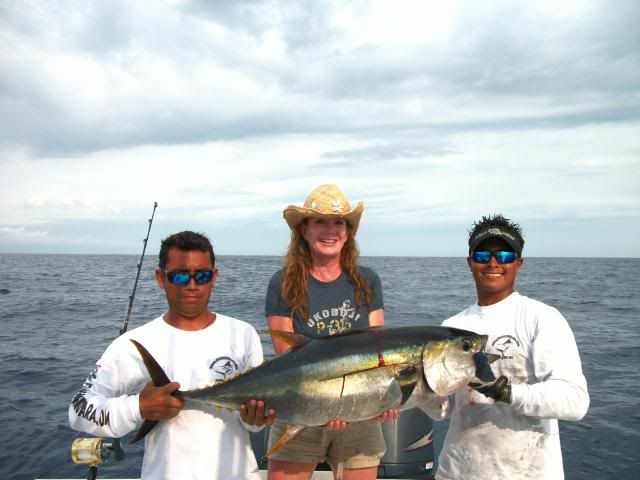 Yellowfin tuna on a half-day. 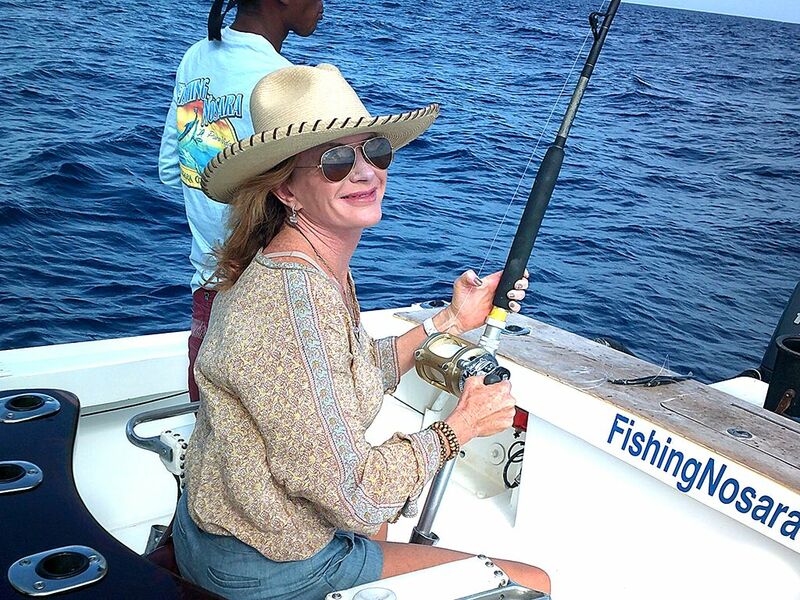 She had a blast and the crew was amazed at her fishing skills.